If you are facing fraud charges in Florida, you need an attorney who can cut through the compound aspects of such prosecutions. At the Kramer Law Firm we regularly defend complex criminal allegations. We are here to make certain you get the legal leadership and criminal defense you deserve. Fraud is a non-violent, white collar criminal offense. Most cases involve acts of deceit and concealment to illegally obtain money, property or services. In Florida, the crime can encompass a wide range of activity from investment schemes to a series of simple check fraud. If convicted, an individual can face a substantial prison sentence (up to life behind bars, depending on the crime) in addition to enormous fines and forced repayment. At the Kramer Law Firm, we handle all types of fraud cases, such as wire fraud including computer and internet fraud, tax crimes, mortgage and securities crimes, healthcare and insurance crimes, government fraud, bank fraud, mail fraud, identity theft and beyond. Economic and white collar crimes cost companies hundreds of millions of dollars each year. Also in the past several years, federal and Florida state investigators have been going after Medicare and Medicaid fraud crimes with great zest. Our Orlando, Florida defense lawyers can help, even if you stand accused of a serious white collar crime or series of crimes. If you have been charged with fraud or are under investigation, contact the Kramer Law Firm as soon as possible to arrange a free consultation with an experienced attorney: 855-Kramer-Now (855-572-6376). The burden of proof of fraud lays on the prosecution, and the crime may be difficult to prove beyond reasonable doubt. Our attorneys will scrutinize the financial evidence against our clients. We engage forensic experts early in the case to challenge foundation of the prosecution’s case. Our goal is to reduce or eliminate the most serious charges. The defense attorneys at the Kramer Law Firm will examine whether there was actual intent to defraud. If defrauding someone was not your intention, our attorneys will aggressively pursue the facts and defend accordingly. 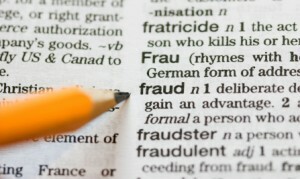 Fraud charges can be defended by arguing mistaken identity. You may be the subject of mistaken eye witness identification. You may be assumed to be the perpetrator, when in fact you are not. Many times, business people are set up by unscrupulous partners resulting in false accusations of fraud to cover their own crime. Often a person is simply in the wrong place at the wrong time. Entrapment may be in play. Did you purposely try to steal money from an organization or business? Can the prosecution convincingly show (using evidence) that you committed the crime and that you did so on purpose? The context of the crime and arrest are also important. Did you engage in a simple computer banking fraud scheme, in which you hacked into people’s accounts using phony passwords? Or did you construct a more elaborate Medicare fraud operation, involving stolen Social Security numbers, fake claims, and counterfeit paperwork? Even if you think you kept tabs on everything that you and your co-conspirators did, you have no way of knowing whether someone working with you committed additional crimes, such as drug crimes or violent crimes. Your collaboration with that criminal could lead to additional charges against you – even if you did not know about that other person’s criminal activity. Whatever charges you are facing, you have the right to a strong and aggressive defense. Before you speak with prosecutors or investigators, consult with our Florida criminal defense lawyers. Our team has the experience to defend your case and guide to toward the best possible outcome. The Kramer Law Firm is a full service law firm with extensive resources. Our attorneys defend fraud and white collar criminal cases in state and federal court. We defend corporate officials, public employees and everyday people who need help with complex and sensitive legal matters. We can help you get to the bottom of your fraud-based charges and determine what needs to be done to maximize your chances of a good outcome and minimize repercussions to your freedom, your professional credentials, and your future.